Cruz Cat Construction & Engineering, Inc. Comment: I need to replace my existing concrete driveway with either concrete or pavers. Comment: I need to replace existing concrete. I am open to looking at different surfaces, such as pavers, in addition to concrete. 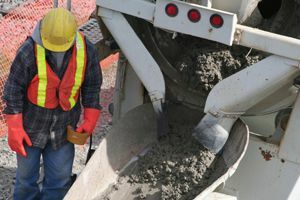 San Dimas Concrete Contractors are rated 4.69 out of 5 based on 1,429 reviews of 37 pros. Not Looking for Concrete Contractors in San Dimas, CA?